The Lancer Tactical Single Point Sling is an adjustable sling that keeps your gun secured to your person with enough slack (bungee) to make it quickly deployable. 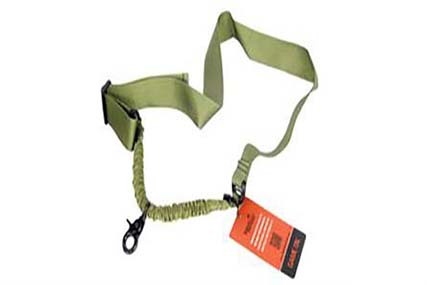 This sling is constructed of heavy duty nylon with a metal hook to secure to your gun. One point slings are used mostly for small close quarters combat guns but you can use this Lancer Tactical One Point Sling with any gun that the hook fits in.